"...a page-turner right from the start." T.J. had the world in the palm of his hand. He was handsome. Popular in school. Smart. A stellar athlete. The son of superstar pro quarterback Tony Okerson, he seemed destined to follow in his father's footsteps to a career of gridiron glory. That bright, shining dream ends when T.J.'s lifeless body is found on a rocky shoreline near his family's Chesapeake Bay home. Due to his father's past fame, the tragedy ignites a media frenzy in the normally serene island community. Through a mutual friend, the grieving parents turn to reporter Nichelle Clarke for help. Nichelle agrees to write the story herself and attempt to quell the national media circus. But as Nichelle begins to explore the facts surrounding the death, she discovers some shocking details. Something doesn't fit. And while the local sheriff wants to stamp the case a drug overdose and move on, Nichelle becomes convinced that foul play may have been involved. ★★★★★ "LynDee Walker is quickly becoming one of my favorite authors... "
★★★★★ "I could not put it down, and found myself reading late into the night. There were many twists and turns and it had me guessing until the end." ★★★★★ "A rollercoaster ride that starts with a bang and only gains speed as you arrive at an explosive conclusion..."
Nichelle Clarke crime thriller novels can be read in any order. Start here! 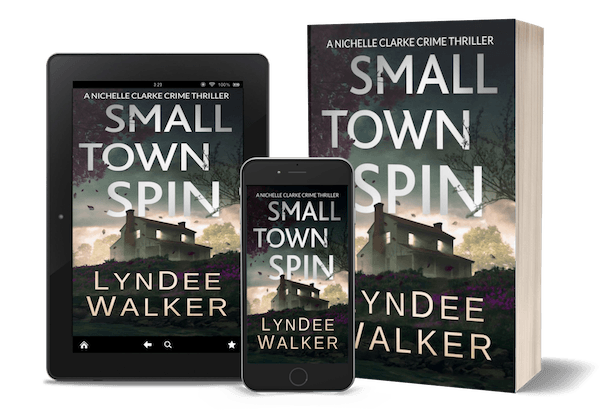 I have become a fan of LynDee Walker. 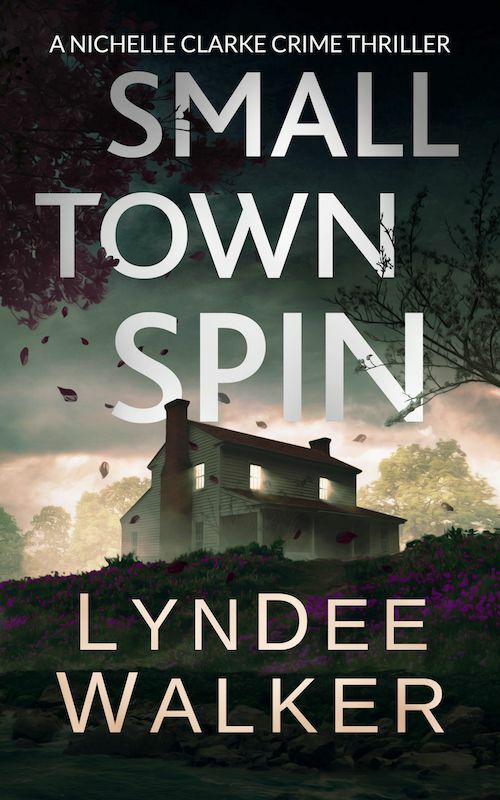 This latest offering of hers , "Small Town Spin", is a mystery that keeps you guessing right up to the end, and that's the kind of mystery I can really sink my teeth into.. Loved this book. Have read all of this series and thoroughly enjoyed them. Walker's style of writing is so witty and engaging that you can't help but love Nichelle. Mystery elements were believable and romance was just right for my taste. But mostly I just loved the way she expressed herself. Very cute, I liked her previous books in this series and she didn't disappoint in this one either. It's a good read for people who like a little mystery and not a lot of substance. Ms. Walker has done another great job with this mystery series. You are easily drawn in to the drama of the mystery and the drama of Nicey's personal life. I have been reading the whole series back to back. I enjoy this series, this story had many twists and turns. I really thought it would end one way, and it turned out differently. It really isn't the fluff I expected from this series. She is really an investigative reporter. It also has just enough romance to keep me interested. Love this book and love the series. Suicides, moonshiners, nut cases, hormone old boyfriend and the head of the mafia.... what more could you want. "A page-turner right from the start." "It had me guessing until the end." "A rollercoaster ride that starts with a bang!"